Driving through Nebraska, we stopped at The Archway, 3 miles east of Kearney. 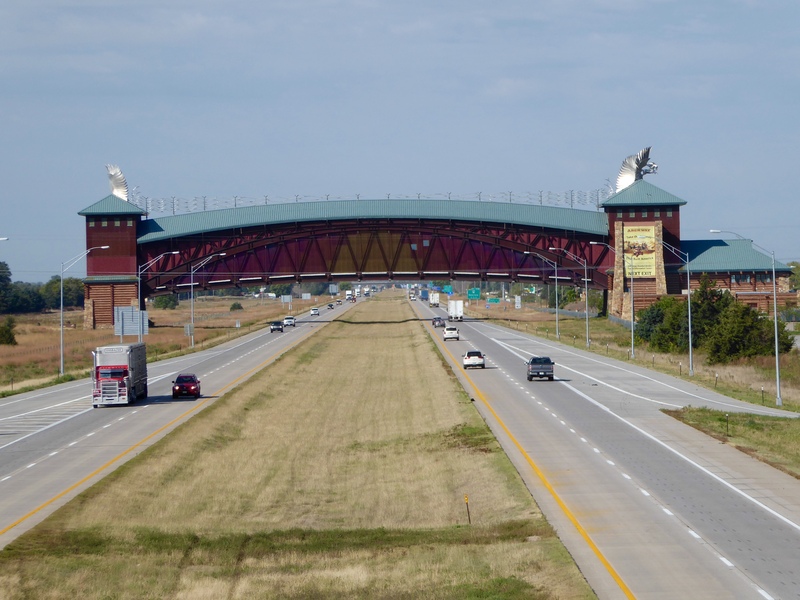 The Archway, previously known as the Great Platte River Road Archway Monument, (sure glad they shortened that name), is an arch, or bridge, over I-80. 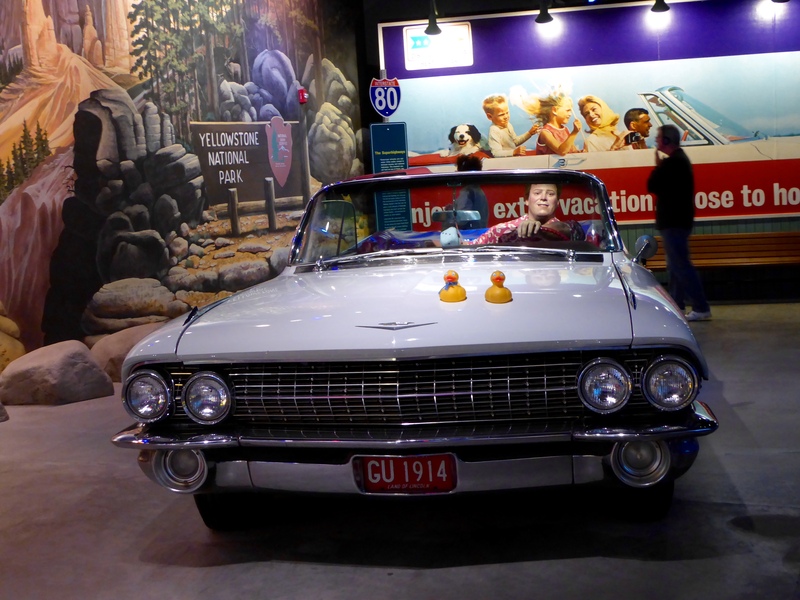 This is a museum featuring the westward expansion of the United States and the American people’s fascination with the car and road travel. 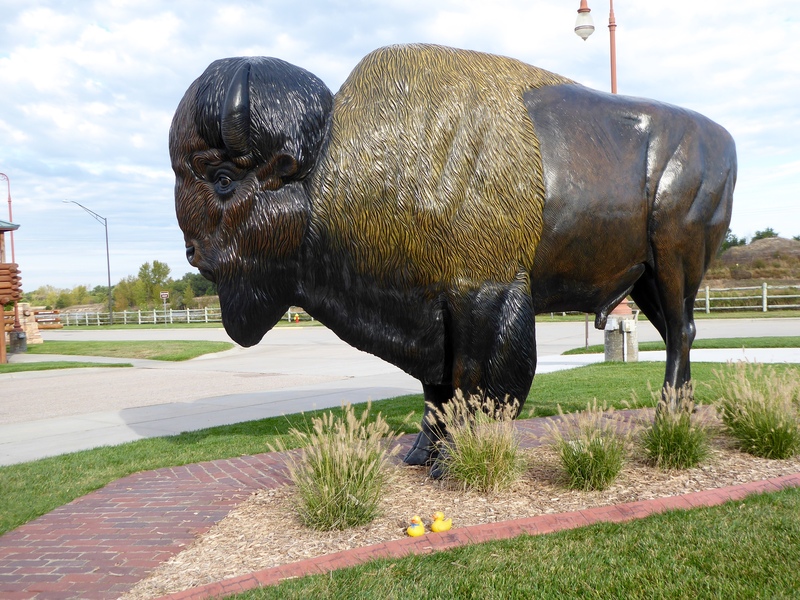 Before entering The Archway, we admired this buffalo, a symbol of the American West. 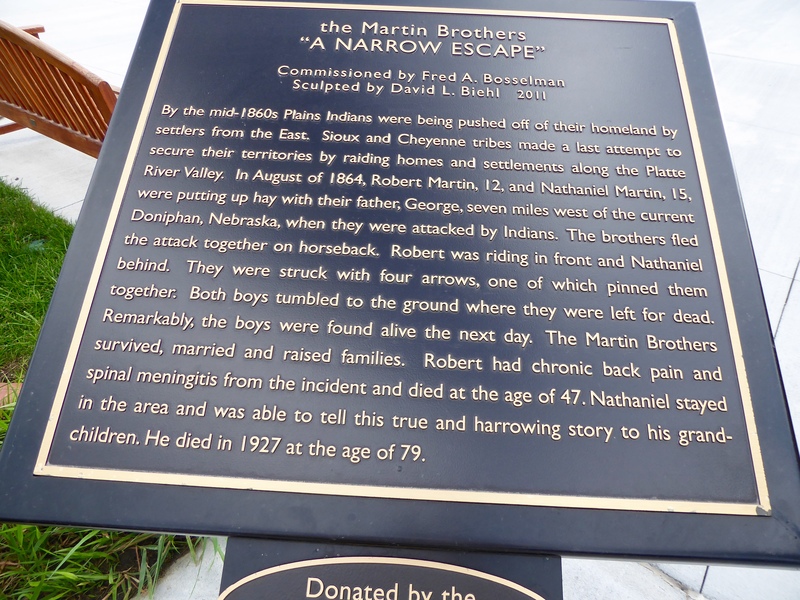 Here is a statue of the Martin Brothers. This sign explains their unusual circumstances. 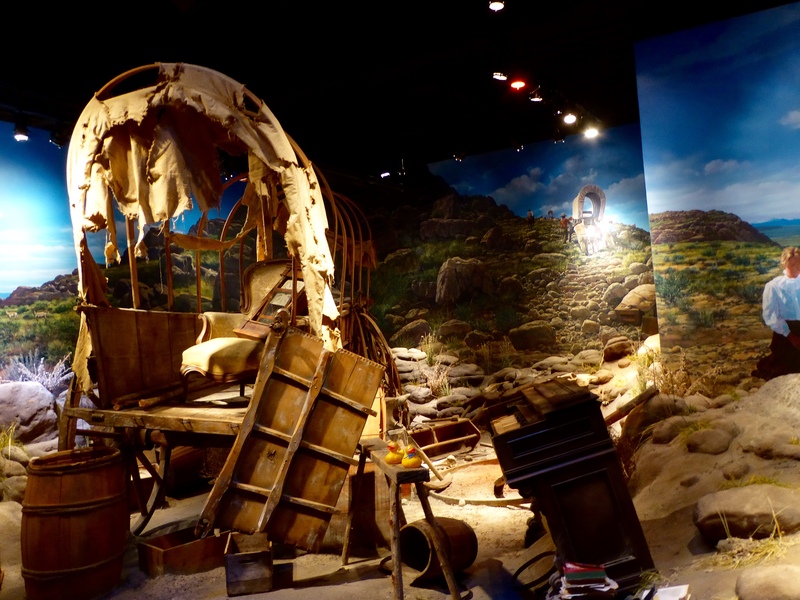 We enter The Archway, purchase tickets, receive our included audio program, and ride the long escalator and we are among covered wagons heading west. 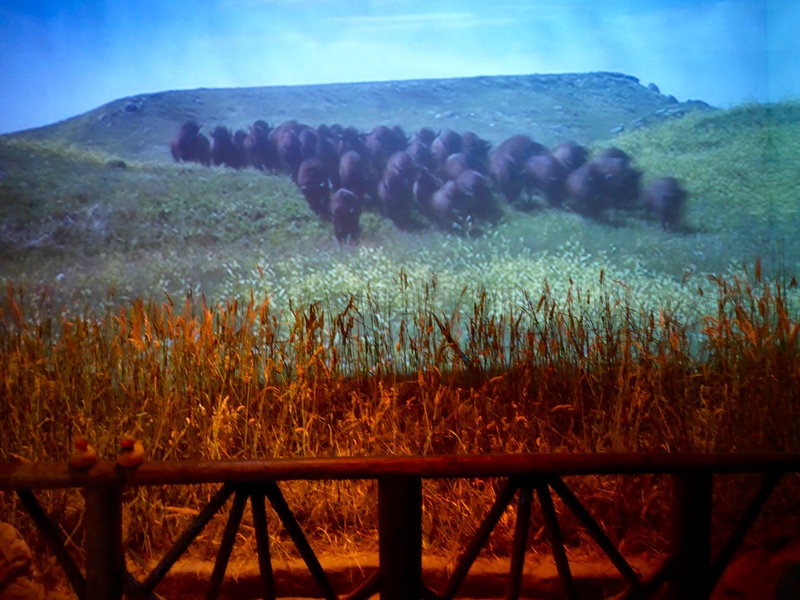 Soon the buffalo herds begin stampeding toward us. 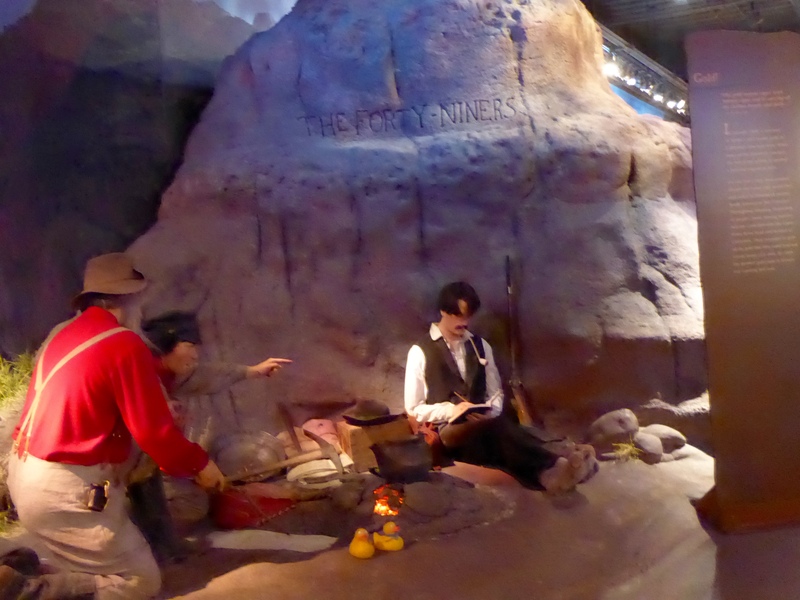 Along the westward trail, we stop to visit some of the Forty-Niners, hoping to find gold in California. 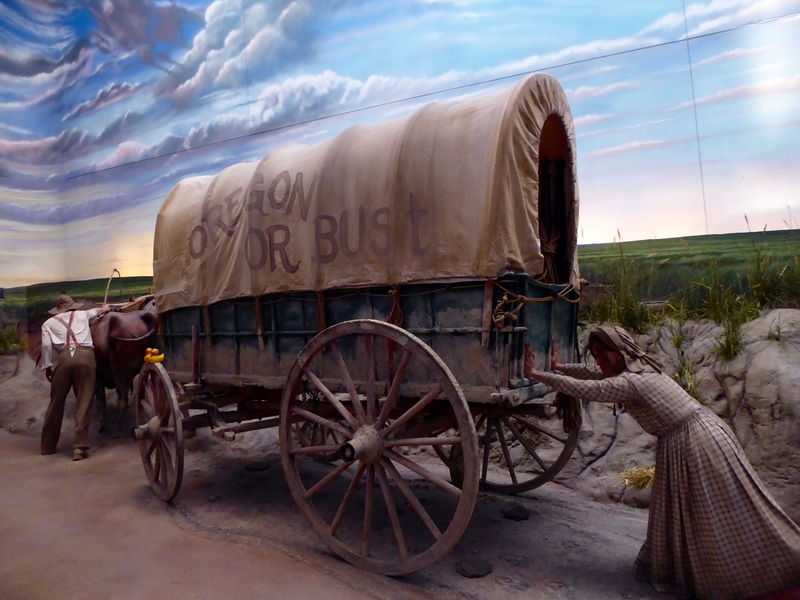 Many wagons did not complete the trip west. The Mormons were a little more organized. 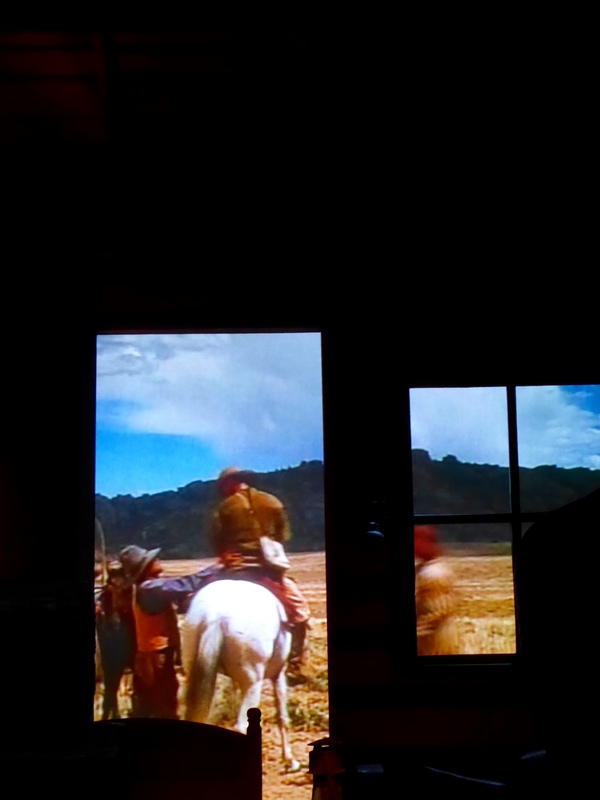 Now we see a Pony Express rider. He delivered news of the Civil War from the east coast to San Francisco in only 10 days. The completion of the Transcontinental Railroad and the driving of the Golden Spike in Utah are also celebrated in The Archway. 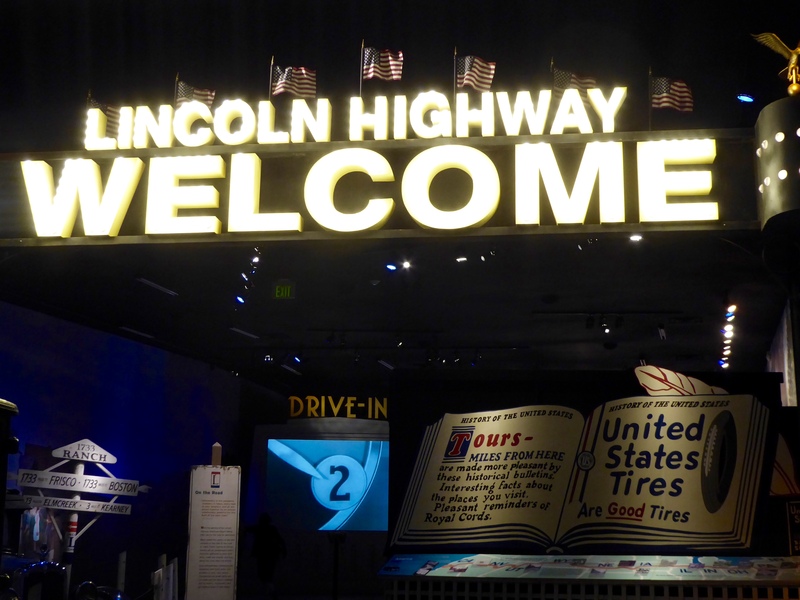 The popularity of the personal automobile and the completion of the Lincoln Highway is shown. 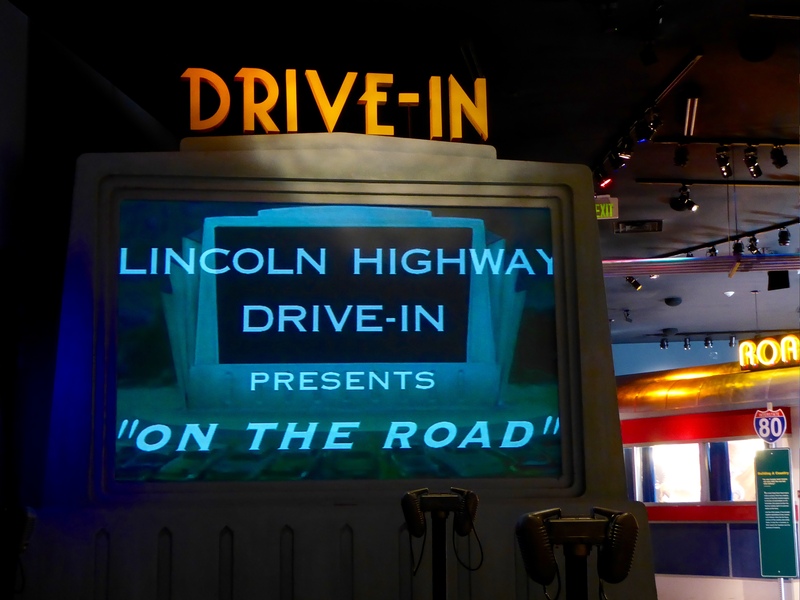 The Lincoln Highway, or US 30 allowed Americans to drive from New York City to San Francisco. The road trip was instantly popular. It still is popular. 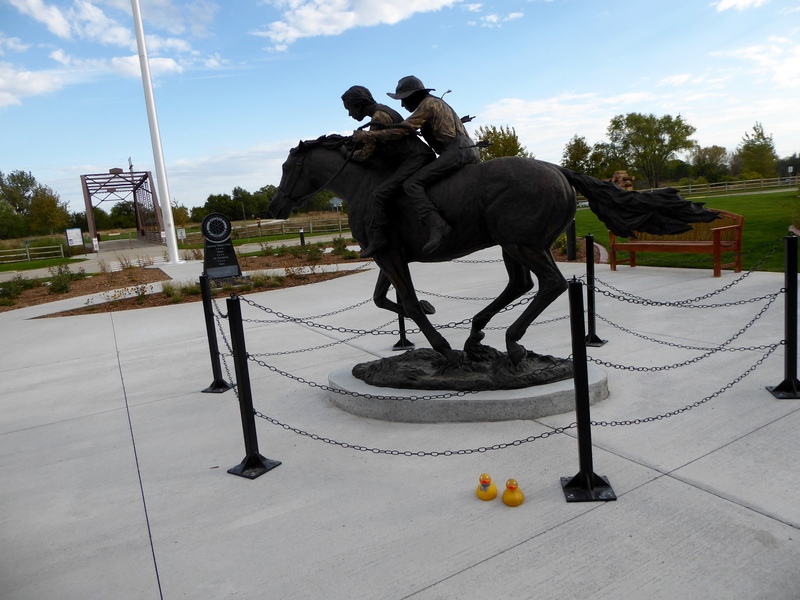 We, the Colorado Traveling Ducks, are taking a road trip now. The drive in movie was a great hit. 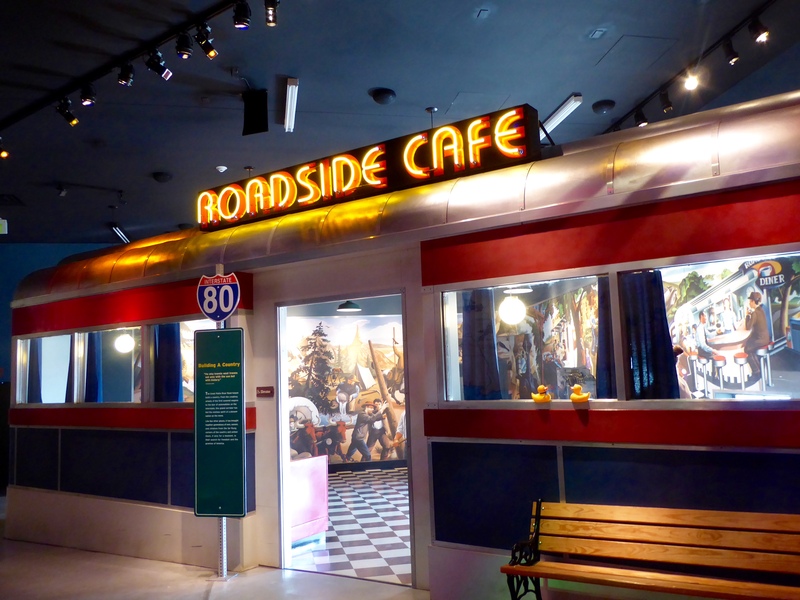 Another result of the American drivers was the Roadside Cafe. We could not imagine a road trip without food available, and so many choices. The Archway is a great place to stop. 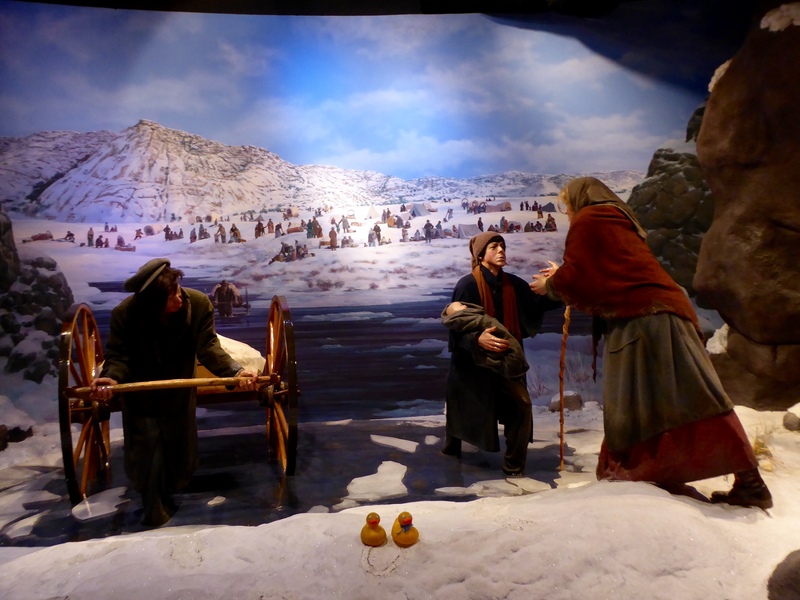 We really think you would enjoy visiting this museum. And enjoy driving across America.